BarCamp London 2009 is undoubtedly one of the best conferences I’ve been to this year: it’s fun, it’s inclusive and, most important of all, it’s all about people. All this came as quite a surprise since I really didn’t know what to expect. Once upon a time, there was FooCamp where Friends-of-O’Reilly got together at an annual invite-only participant-driven conference hosted by Tim O’Reilly. Since not everyone could be friends of Tim O’Reilly, some folks got together and created BarCamp, a place where others could participate by presenting their ideas, too. BarCamp is described as an ‘unconference’, a conference where the programme is based entirely on material generated by the participants themselves. You really don’t get more inclusive or spontaneous than that! FooCamps and BarCamps are based on a simple variation of Open Space Technology format, where participants post up topics they want to talk about in 20-minute timeboxes. Like successful Open Spaces, the success of BarCamp depends entirely on strangers self-organising around passion and mutual interests. And since I was lucky enough to get a ticket in, I wanted to give something back that would be useful to most. The result: a 20-min session on Real Options, Bottled Common Sense to Better Decision Making. Around 30 people attended out of a crowd of 200. I described BarCamp London 2009 as a Real Option, just as Agile 2009 was a Real Option for me. We even touched briefly on the importance of applying personal values when deciding the value and application of Real Options Thinking. Judging by the quiet yet definite sound of lighbulbs going off in the room, I think Real Options Thinking resonated with many conference participants. Sessions were run in separate rooms where participants could concentrate comfortably on the session topic. Each room had a mixture of facilities such as projector, flipchart and tables. One Saturday alone there could have been as many as 12 x 9 sessions – now that’s a lot of Real Options! A stationery stash provided by organisers so we be even more creative! More BarCamps throughout the year – I wish we could have more BarCamps, perhaps mini BarCamps, may be one a quarter to increase learning from one another! BarCamp London 2009 was exactly what I’ve been looking for. BarCamp has helped me better understand people’s fascination with Open Spaces, something Marc Evers tried to explain to me at ScanAgile 2009. I think I understand now and I want to go to more Open Space conferences! BarCamp is living proof that the most invaluable learning is about connecting, sharing, courage, learning and having fun. BarCamp is about leveraging the Wisdom of Crowds. BarCamp is a great inspiration where you can expect the Unexpected. And expect to participate. Get to a BarCamp near you. Go, go, go! And if you like BarCamp, you’ll love XP Days Benelux, a mixture of pre-scheduled sessions and the option of running Open Space sessions! I’ll be co-presenting The Toyota Way Management Principles with Pascal this Thursday in Helsinki, Finland at ScanAgile (Scandinavian Agile Conference 2009). We’ll be sharing lots of stories based on our experiences of how we’ve applied The Toyota Way Management Principles in our work as consultants. 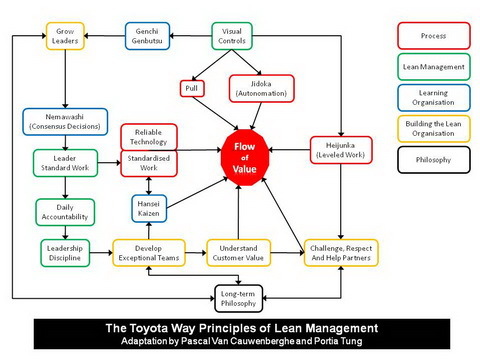 We’ll go through each of the 14 Toyota Way Principles for implementing Lean and illustrate how we’ve applied them when working with aspiring Agile teams. Thanks to all your feedback when we presented this at Integrating Agile back in June, we’ll be presenting a newer and much improved version. I hope you’ll join us! Learn more about the session from http://www.agilecoach.net/coach-tools/the-toyota-way/. I like to think of Agile as a party. And like any good party, everyone gets invited. 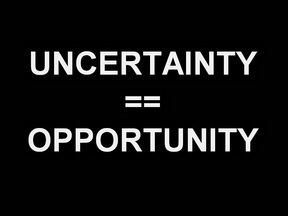 It’s then up to you whether or not you show up. And when. If you do, it’s then up to you how much time and effort you want to put in. As to whether you’re a party animal or a party pooper, the choice is entirely up to you. The key is to include everyone on the invite. Agile, to me, is about inclusion. It’s about making-change-for-the-better an option for everyone. It’s the kind of option that has no expiry date. The folks who have the most fun at such a party are those who have an open mind. Folks who’ll give things a go, including that dodgy looking punch that looks too funky a blue to be made from 100% natural ingredients. Or may be you do the Macarena because it reminds you of your first year at university. And that’s the thing I like most about Agile. I never know upfront what I’ll get personally out of a day’s coaching or consulting. The only thing I can be certain of, right from the start, is that it’s going to be a lot of fun. That’s the thought that gets me started. It’s also the one that keeps me going. Take today for instance. I’m on the last day of an Agile Healthcheck engagement with a team who’s Agile Enablement journey began almost exactly a year ago. The team invited me back to help take them to the next level of applying the Agile Values and Practices. We began by identifying a handful of goals, back at the start of September, such as ‘Increase team customer satisfaction’ and ‘Increase team velocity’ and defined acceptance criteria for each goal so we would know when we were done. A month on, I’m back for a Show & Tell of the Team Improvement kind, to see how many of the acceptance criteria the team has met in 4 weeks (two iterations’ worth) of concerted effort on Continuous Improvement. A lot has happened. Judging from the smiling faces that greet me, the team’s proud of what they’ve achieved. And so they should be. It’s a humbling moment to find oneself among people who rise to the challenge of becoming better. People who strive to improve despite the alternative, namely, this-is-what-we’ve-always-done-and-that’s-the-only-reason-we-continue-to-do-it attitude otherwise known as Mediocrity. You are currently browsing the Selfish Programming archives for October, 2009.